Chris’s methodical approach to each negotiation ensures the best outcome for his clients and has proven to be a winning formula. “People like to do business with people they know and trust. My success can be attributed directly to referrals from people I have done business with. If I don’t do a good job people will not refer me.” Owning and managing multiple properties himself, Chris also understands the unique needs of clients investing in real estate for the long-term. He knows what makes a good investment property and will correctly advise clients on those they should pass on. Beyond traditional negotiations, Chris also specializes in trust, probate, and multi-residential sales. With a proven track record, Chris can be counted on by clients and peers alike. “Other agents know when they work with me they are working with someone who is focused and can close deals. I’m a strong believer in the importance of building and preserving relationships.” Chris maintains an impressive professional and social network within the industry, as well as strong ties and a notable commitment to his community. Elected President of the Burbank Association of Realtors in 2012, Chris was named Realtor of the Year 2013, and served as Director of the California Association of Realtors for 10 years. He has been the recipient of numerous awards for outstanding achievement as well as service. In 2017 Chris received the prestigious Cunningham Award for outstanding community service. Chris gives back to the community through his work with various non-profits and has served on countless boards and committees over the years including a term as President of the Burbank Association of Realtors Community Service Foundation. 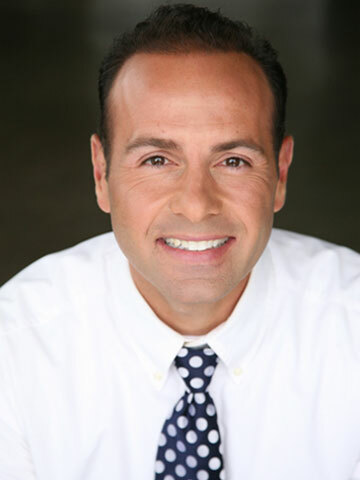 Chris currently serves as Chairman of the City of Burbank Planning Board where he works to preserve the city’s unique character while ensuring sustainable development for future generations. In his spare time, he enjoys playing golf at Lakeside Golf Club, where he is a longtime member, and his season tickets to the Dodgers. Chris earned a Bachelor of Science degree in Business Administration with an emphasis in Marketing and Management from the University of LaVerne. Voted Burbank’s Best Real Estate Co.